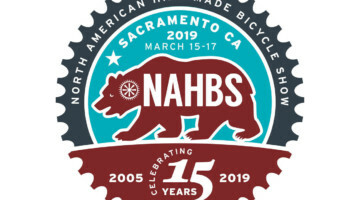 Spring has sprung and the nice weather is apt to spring many of us out for adventures on gravel roads and mixed terrain rides. 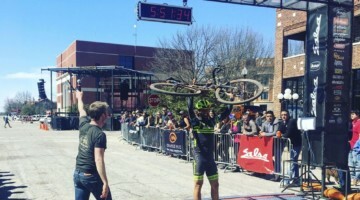 With the growing popularity of gravel riding, ways of smoothing out rough terrain abound. We have looked at suspension stems such as the Redshift ShockStop and Stafast, Specialized has its FutureShock and Trek the front IsoSpeed decoupler and there is always the tried-and-true method of adding a double wrap of bar tape or maybe adding some padding. Another option is a front suspension fork. Last year we tested the Fox 32 Step-Cast AX fork with 40mm of travel, and today we are taking the Grit suspension fork from Iceland’s Lauf Cycling for a spin. Lauf Cycling started in 2010 when Icelandic mountain biker and prosthetic feet designer Benedikt Skulason joined forces with industrial designer Gudberg Bjornsson. Their goal was a lighter, lower maintenance suspension fork that uses a leaf spring design and high strength composite materials. 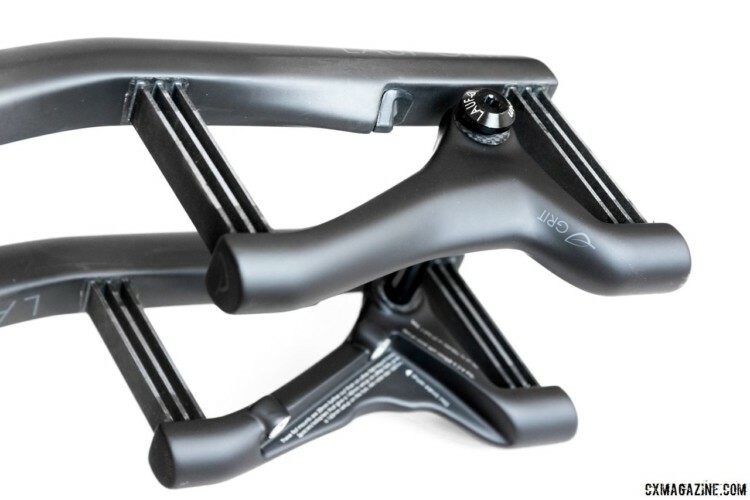 The original Lauf fork has 60mm of travel for mountain bikes with 29″ or 27.5″ wheels. 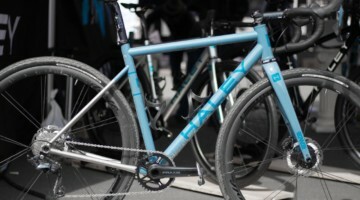 It also branched out into the drop bar market with the 30mm-travel Grit designed for gravel and mixed-terrain riding. We have had the Lauf Grit fork on our bikes for a healthy amount of gravel and mixed terrain riding and report back with our impressions in this long-term ride review. 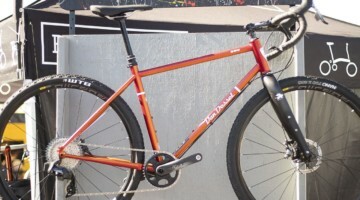 The Lauf Grit fork design has two parts: the axle carrier for a 12 or 15mm thru-axle and the fork. Six fiberglass composite leaves connect the two parts on each side. The fork blades have a reverse curve and the axle holder rides behind suspended by the leaves. 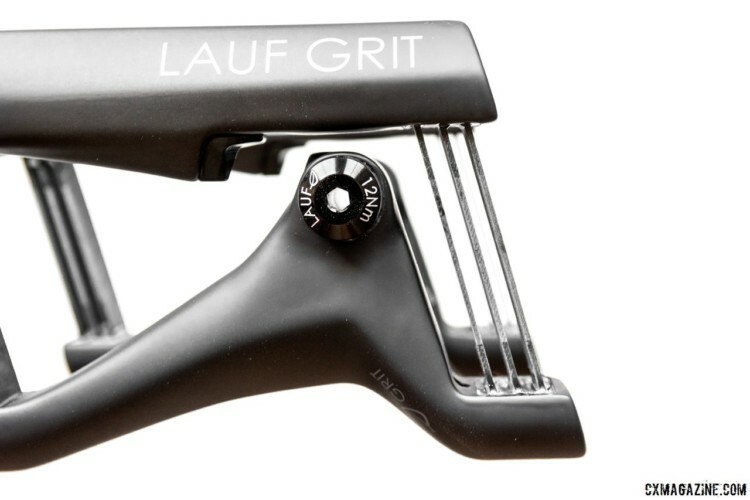 The Lauf Grit is an entirely carbon composite construction. It weighs 936 grams with the uncut 350mm 1⅛”- 1¼” tapered carbon steerer. 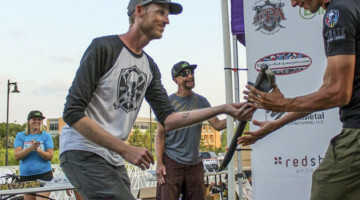 The axle to crown measurement is 409mm with an expected 6mm of sag, which is taller than the typical 395mm cyclocross axle to crown measurement. 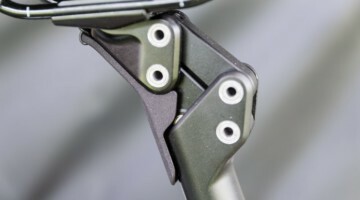 The Lauf website claims with the 30mm of travel of the Grit, the 47mm offset reacts like a 45mm offset rigid fork with a 395mm axle to crown distance. This design relies on the wheel axle to avoid twisting but allows some lateral movement. 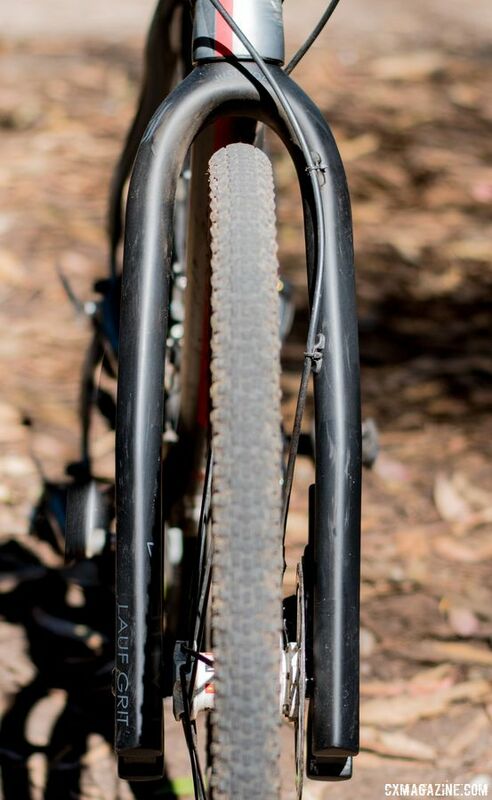 The spring rate in the fork is progressive, meaning the suspension tightens as it reaches its limit, at which point rubber bumpers stop further travel. 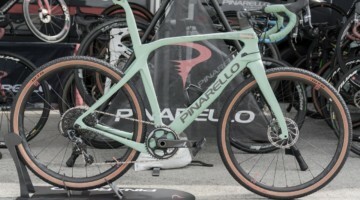 Tire clearance on the fork is ample, conservatively accepting 700cx42mm or 27.5×2.1” tires, and the wide crown dwarfs typical gravel or ‘cross tires. Since the left and right suspension modules are independent, the wheel moves laterally when pushed sideways. 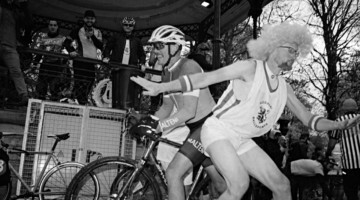 It takes quite a bit of force and the lateral movement is limited, but it is visible and affects bike handling in certain conditions, as noted in the ride review section. The claimed weight limit is 240 pounds (110kg), and the amount of sag and rate of travel vary by rider weight. Our testers weigh between 150 and 180 pounds, so we did not take the fork to the limit in that regard. 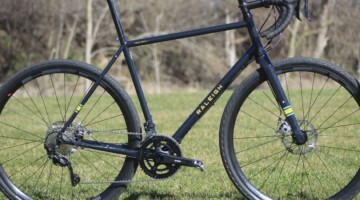 This review focuses on Lauf’s Grit fork. 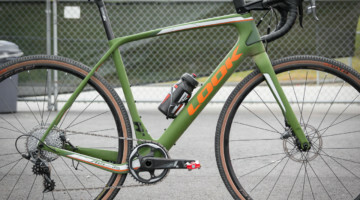 The company recently introduced a new version of the Grit fork it calls the Grit SL. 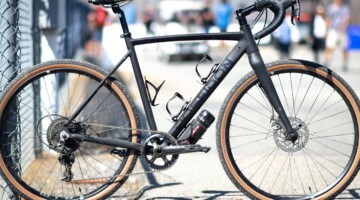 As of the publication of this review, the Grit SL is only available as part of the company’s True Grit gravel frameset and bikes. Lauf claims the Grit SL is lighter and stiffer (laterally and longitudinally) than the standard Grit fork. It has a more streamlined look with straighter fork blades and is painted to match the True Grit’s frame. The steerer has a broader taper to 1 1/2″ at the crown and a repositioning of the leaf spring arrangement offers the same offset and travel. The SL is also 50g lighter than the Grit fork we reviewed. We mounted our test 15mm thru-axle Lauf Grit fork in place of the stock tapered steerer carbon fork on an old Redline Conquest Flight. We chose the bike because of our long-term familiarity with its ride on different terrains. At 936g (2.06lbs), the sawed-down Lauf Grit weighs almost 500 grams more than the stock fork, so the increased travel is not without a weight penalty. However, the fork did not change our front-end geometry and there was no noticeable impact on steering. When we started riding with it, the fork’s performance was as expected, with an active response and no stiction or required maintenance. The Grit’s ability to absorb small bumps and irregularities of gravel roads and trails was impressive. 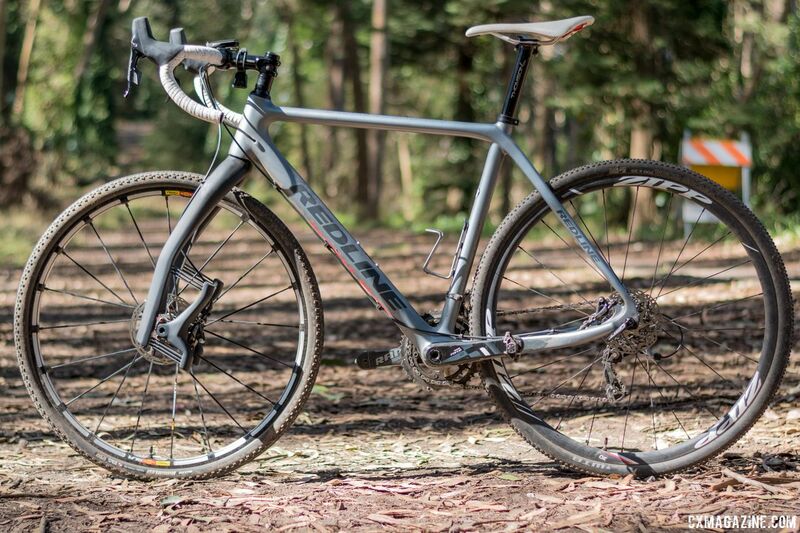 As we pushed harder and faster on gravel roads, the fork seemed to perform even better. On bumpy, sweeping corners, the smoothing effect instilled confidence in our tire traction, and during bigger rock and root hits, the progressive spring travel felt solid and provided some damping effect. With our steering not affected, on a whole, the travel of the fork improved our handling on typical gravel roads. When the going got gnarly with bigger hits, tight switchbacks and rooted trails, the lateral movement of the wheel within the fork made handling ambiguous and occasionally unnerving, but those situations were outside the capabilities of the Grit’s design intent. 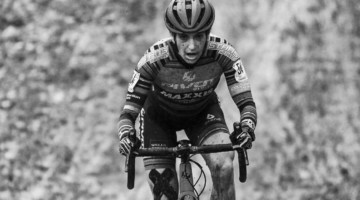 If you are looking to take your ’cross bike to Moab or Pisgah, you will still be in for a miserable time, even with the Grit’s travel. 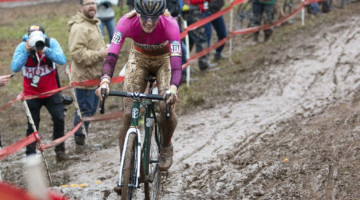 In our opinion, the 30mm travel of the of the Lauf Grit reduces fatigue on long gravel roads with sweeping turns or on cyclocross courses with hard, bumpy sections. 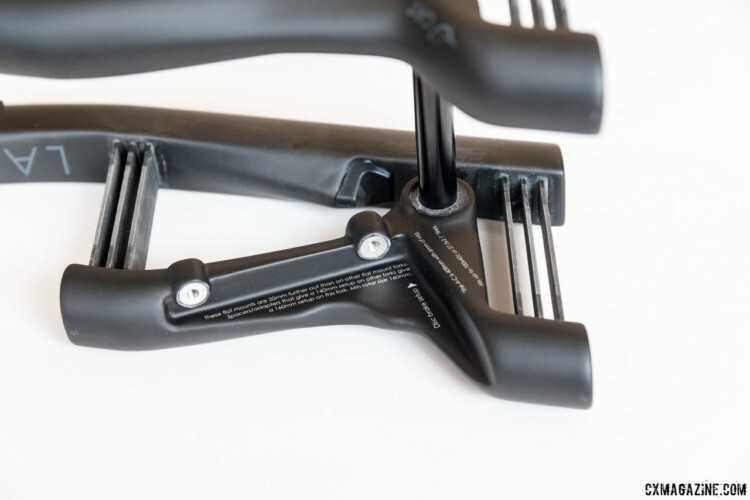 The progressive travel in the fork increases bike control and reduces fatigue and seems worth the extra pound of bike weight. However, if the course has very tight, technical riding, a rigid fork outperforms the Grit. The Lauf Grit improves control and reduces fatigue on the bumpy surfaces of gravel, dirt and broken pavement at a weight cost of an extra pound. Since the fork does not affect front-end geometry and thus steering, the Grit can make your long rides faster and more comfortable. The Grit has a simple, maintenance-free design and is light for a suspension fork. Since it lacks stiction, its ability to smooth small bumps is impressive and if used as intended, it improves ride quality. The question that remains is if the Lauf Grit is a good value. At $690, The Grit is $130 cheaper than the heavier Fox AX fork, but over $500 more expensive—and heavier—than the ShockStop suspension stem. 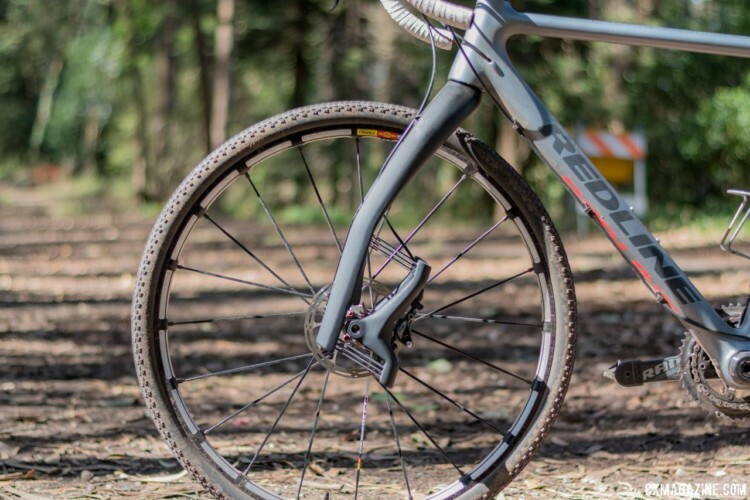 The fork does not change your bike’s geometry and it faster than a suspension stem over bumpy terrain, so there are benefits that come with the price premium. Our first choice for smoothing out gravel rides is to go tubeless with high-volume tires, but when looking for extra rough road comfort, we would opt for the Lauf Grit fork over a suspension stem or other options. 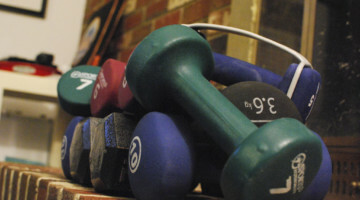 Ultimately, you have to decide if your budget allows for the Grit’s performance increases. Useful review, especially the extra info on the effect on geometry. 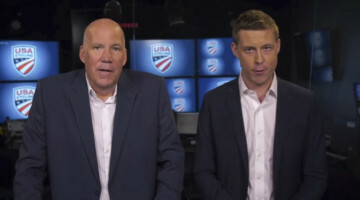 That was something I was wondering about. If put into a geometry prog, the fork increase stack 14mm and reduce reach by 4mm. Compared to 3T Luteus 2 fork. The interesting comparison is when you swap back and forth with you own stiff fork. The worse the terrain, the more Grit shines. For better, less provoking terrain a stiffer fork comes off as faster. 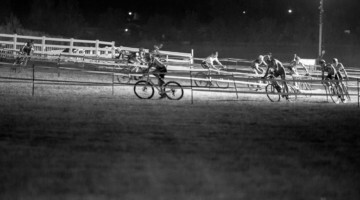 If you like sprinting, Grit may annoy you since you active the fork to maximum and this causes the fork to bob.